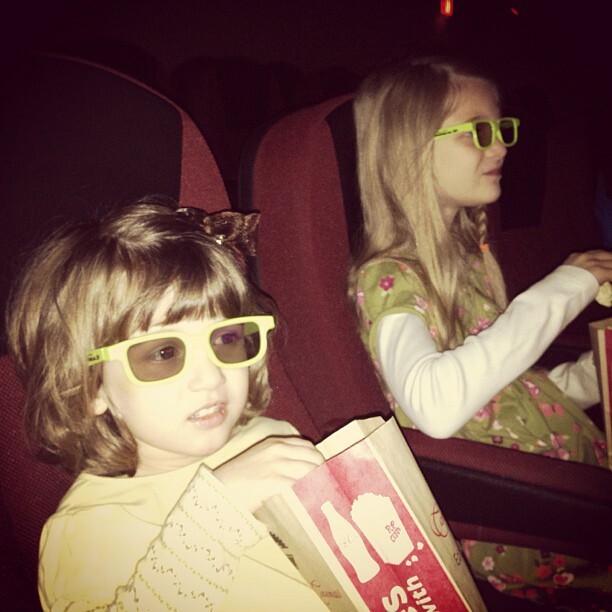 Kate & Sara getting ready to watch Monster’s Inc 3D on New Year’s Day. This will be Sara’s first time watching a movie in a theater. Home » Blog » Family » Kate & Sara getting ready to watch Monster’s Inc 3D on New Year’s Day. This will be Sara’s first time watching a movie in a theater.